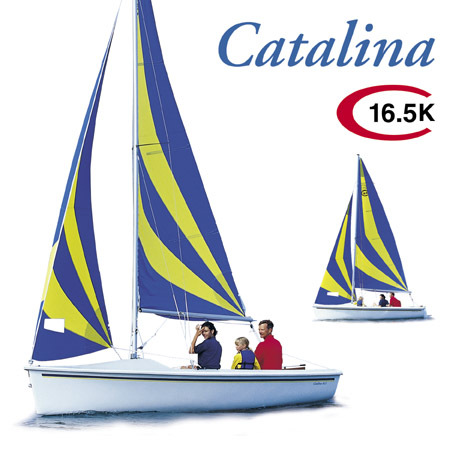 The Catalina 16.5 boasts a big roomy cockpit, and large storage locker forward, making for ideal family outings. 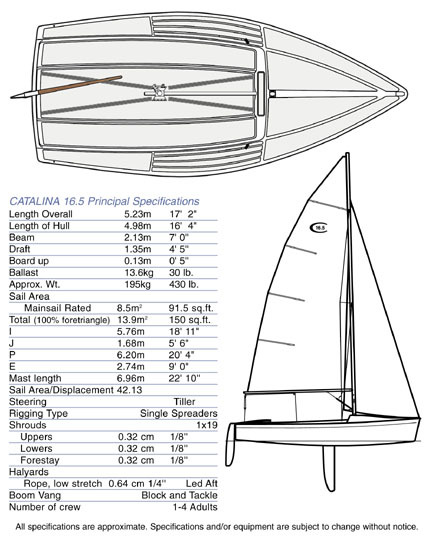 The 16.5 is available in two keel designs. 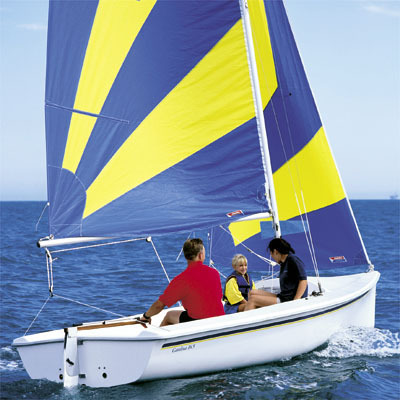 The Centerboard model features a powerful sailplan, balanced by the stable hull form and fiberglass centerboard and rudder. Adjustable hiking straps, tiller extension, adjustable outhaul, and sheet bag are all standard equipment. 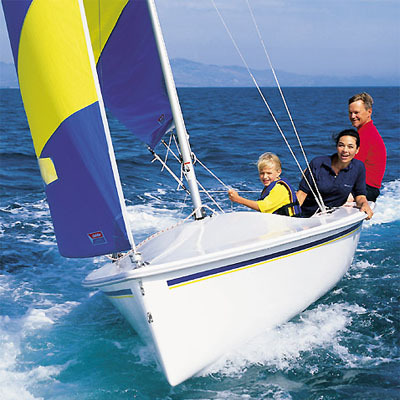 The Keel model is perfect for storing the boat on a mooring or dock most of the season. A molded-in sealed bilge sump is included. The high aspect keel is cast lead and attached with stainless steel keel bolts.